The European Union ranks Switzerland as Europe’s most innovative country, while World Economic Forum’s Global Competitiveness Report ranks its economy as the most competitive in the world. Switzerland has a stable, prosperous and high-tech economy and the citizens enjoy great wealth. In 2007, the gross median household income in Switzerland was an estimated 137,094 USD at Purchasing power parity while the median income was 95,824 USD. Also, Switzerland is known to have one of the world’s largest account balances as a percentage of GDP. All these achievements were made possible by reputable Swiss billionaires. These billionaires among others in the country, are ranked the top twenty-five richest by Forbes for 2015. Thomas Straumann is the grandson of Reinhard Straumann, founder of an alloy research institute, and inventor of metals used in watch components and Fritz. Thomas owns a 17% stake in the world’s largest manufacturer of dental implants. The company went public in 1998 and Straumann retired as chairman in 2002. In addition, Straumann founded and chairs implant maker Medartis. He also owns the luxurious Swiss Hotel Les Trois Roi, and a stable of race horses. Walter Frey’s fortune began with his father, Emil, who opened an automotive repair shop, Emil Frey, in 1926. Today, the company is one of the largest auto importers in Europe with operations in service, dealerships and financing. Walter loves politics and sports; he was a member of the Swiss parliament up until 2001, he is also president of Zurich ice hockey club ZSC Lions. He once held a 50% stake in the now-defunct free weekly Zurich newspaper Zuri-Woche, and sat on the board of Swiss pharmaceuticals giant Roche. Benjamin de Rothschild is a Swiss banker, the chairman of the Edmond de Rothschild Group, a private bank. The bank was established by his father and owned by the family. Benjamin is the only child of his parents, he is married to Ariane de Rothschild, and together they have four children. Karl Scheufele III and his family own Swiss jewelry and watchmaker, Chopard. The German-born Karl Scheufele was trained as a goldsmith and watchmaker at age 20. Today Scheufele and his wife, Karin, remain active in the firm while their children are co-presidents. With more than 100 boutiques worldwide, Chopard’s jewelry is a regular on the red carpet. Esther Grether is a Swiss art collector and businesswoman. Grether inherited a beauty and health care products company from her late husband, Hans Grether. She has been Chairperson of the Board of the Basel based Doetsch Grether Group and is the second largest shareholder in The Swatch Group. Grether possesses one of the most valuable collections of 20th-century art in the world. Her art collection is kept in a converted printing factory which is also her home, and includes more than 600 pieces. Jean Claude Gandur is a French-born Swiss businessman. Jean studied law and political science at the University of Lausanne and history at Pantheon-Sorbonne University. He started as an oil trader, and was Chairman and CEO of Addax Petroleum until its takeover by Sinopec Group in 2009. His new Toronto-listed oil company, Oryx Petroleum, held its IPO in 2013. Currently, it is developing large oilfields in Iraqi Kurdistan. This billionaire is a former Swiss Army officer, he served for 13 years in parliament, and during that time, advocated a pro-business agenda that favored immigration to Switzerland. Peter Spuhler, is also the CEO of Stadler Rail. Spuhler started business in 1987 at a humble locomotive-parts manufacturing company. Today the company has 5,000 employees and makes up to $2.6 billion in sales. Edgar de Picciotto is the founder and chairman of Geneva-based Union Bancaire Privee, one of Switzerland’s leading private banks. Union Bancaire Privee keeps a risk-averse profile, but in 2008, it shocked the banking establishment when its clients emerged as victims of swindler Bernard Madoff. Maja Oeri is the first non-British member of the Advisory Board of London since 2000. She is also a member of the International Council of the Dia Art Foundation and the Museum of Contemporary Art, Los Angeles. The honorary doctorate holder from the University of Basel, is the seventeenth richest Swiss according to Forbes 2015. Thomas Meyer was born in Switzerland but made his fortune from Spanish apparel retailer Desigual, which he founded at the age of 20. The brand launched with a denim jacket created from a collage of worn blue jeans. In recent years, the company has been clocking an annual revenue growth of 29% since 2009. In 2014, Meyer sold 10% of his stakes to a French investment firm, and his brand has branches in over fifteen countries of the world. Martin Haefner is the son of Walter Haefner. He inherited half of his father’s stake in American IT management software maker CA Technologies (formerly Computer Associates). He also inherited part of car dealer AMAG, which sells brands including Volkswagen, Audi, Bentley, and Porsche. Martin is worth $2.7 billion. Eva Maria Bucher-Haefner inherited half her father Walter’s stake in IT management provider Computer Associates after his death in 2012. Her father was the world’s oldest billionaire, he died at age 101. Eva also inherited part of car dealer AMAG, which sells brands including Volkswagen, Audi, Bentley, and Porsche. She is also worth $2.7 billion like her brother, Martin Haefner. Sergio Mantegazza has built a tour and travel empire from Globus, founded by his father Antonio. Today, the travel group includes European river cruises and guided tours in the U.S, UK, Canada, Australia, and South Africa. Mantegazza also owns a significant stake in his family’s collection of residential and commercial Lugano real estate and a substantial portfolio of low-risk bonds. In 2014, he sold his flagging Monarch Airlines to Greybull Capital for £75 million. Stephan is a fourth generation member of the most important industrial dynasty in Switzerland and started his business career at Eternit Niederurnen. His father divided his industrial empire into two halves – asbestos for Stephan, and cement for Thomas. Stefan is the Twelfth richest person in Switzerland and is worth $3.3 billion. Michael Pieper is a Swiss billionaire, the owner of Franke. Pieper is CEO and sole shareholder of the group, which was founded in 1911 and acquired by Michael’s father, Will, in 1975. Michael Pieper’s $2.8 billion (sales) Artemis Group controls the Aarburg, Switzerland-based Franke Group, well-known maker of kitchen sinks and hoods, cooking appliances and other industrial-grade kitchen equipment. Magdalena Martullo-Blocher is a Swiss businesswoman, the CEO of Ems-Chemie and the daughter of former Swiss Federal Councillor, industrialist and Politician, Christoph Blocher. She took over the business from her father in 2004. She is married with three children and lives in Feldmeilen, Switzerland with her family. 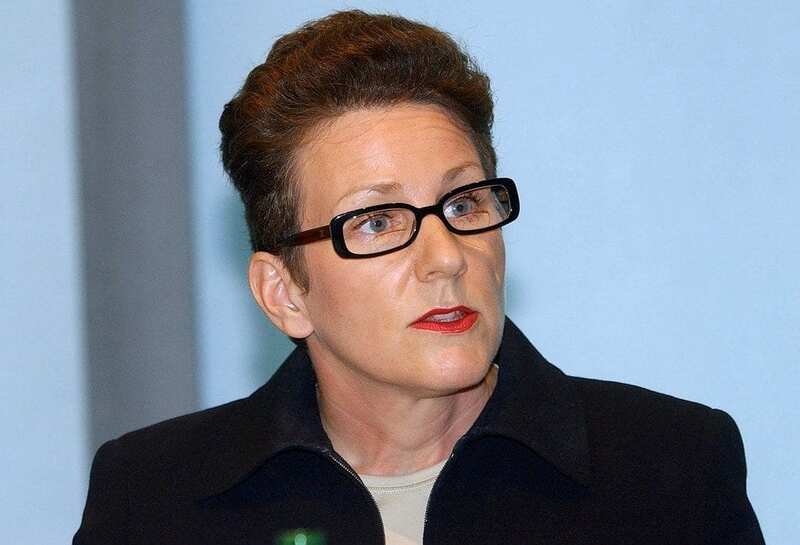 Rahel Blocher, along with her sister Magdalena, is the largest shareholder of Ems-Chemie, the gigantic Swiss polymer and chemical manufacturer. The company generates $1.9 billion and has a market valuation of more than $9.4 billion. Rahel, the youngest sibling, holds shares equally with Magdalene but isn’t actively involved in company operations. Instead, she heads her father’s investment company, Robinvest. Dona Bertarelli is a Swiss businesswoman of Italian origin. She is co-president of the Bertarelli Foundation. She is also a sailo and won the 2010 Bol d’Or Mirabaud and the Rolex Fastnet in 2013. Bertarelli was active in the family business, and from 1992 to 1997 she was Executive Director, Public and Professional Affairs, and established the Serono Foundation. She also took over the family’s Five Star Grand Hotel Park in Gstaad in 2003. Ivan Glasenberg is the chief executive officer of Glencore, one of the world’s largest commodity trading and mining companies. Glasenberg is a South African-Australian-Israeli triple citizen; he became a Swiss citizen in 2011. Glasenberg has been a champion race-walker for both South Africa and Israel; he runs and swims daily to maintain his fitness. He is also on the boards of mining companies Xstrata plc and Minara Resources Ltd.
Thomas Schmidheiny is a Swiss entrepreneur, former chairman of Holcim, the cement manufacturer. He is listed by Forbes magazine as the 285th richest person in the world as of 2015, when his net worth was estimated at $5.0 billion. Currently, he is the sixth richest in Switzerland with a net worth of $5.5 billion. Hansjoerg Wyss is among the most philanthropic people in the world, with charitable foundations that have assets of nearly $2 billion. In 2013, he pledged $125 million to Harvard University to establish a biological institute to research how nature builds, controls and makes things. Wyss also donated $4.25 million in 2013 to The Trust for Public Land, to purchase oil and gas leases on 58,000 acres of land in Wyoming’s Hoback Basin to protect it from development. Willi and Isolde Liebherr’s father, Hans, was one of the most revered industrialists of post-World War II Germany. When Hans died in 1993, at the age of 78, management control passed to Willi – a mechanical engineer, and his sister, Isolde, who joined the business in 1976 after earning a degree in management. Gianluigi Aponte met his wife Rafaela when he was a ferry ship captain. They decided to launch their own cargo shipping venture in 1970. Four decades later, MSC has become the world’s second largest container shipping company, with 445 vessels. Aponte also runs the fourth largest cruise company, MSC Cruise, while Rafaela is in charge of designing the ships’ interiors. Their children are also involved in the daily management of the company, and in a couple of years, will join the list of billionaires too. Margarita Louis-Dreyfus is a Russian-born French billionaire, and Chairman of Louis Dreyfus. She studied Law at Moscow State University, followed by an economics degree from the Leningrad Institute of Soviet Trade. In June 2015, Forbes ranked her as the richest woman in Switzerland, having reached a net worth of $8.4 billion. Ernesto Bertarelli is an Italian-born Swiss businessman and philanthropist. In 2008, he launched a new yacht, The Hull of Project55. In November 2012, the family’s wealth was estimated at US$14.8 billion by Bloomberg. According to Forbes, Bertarelli has an estimated net worth of $8.8 billion, as of June 2015, and he is undeniably the richest person in Switzerland.